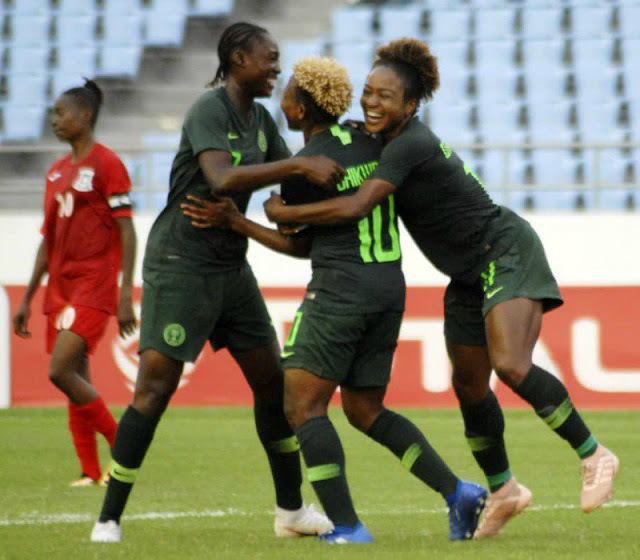 It is day 11 of the Africa Women Championship and as the semi- finals beckon, Ekikere Udofia runs the rule over the key numbers at the football championships. 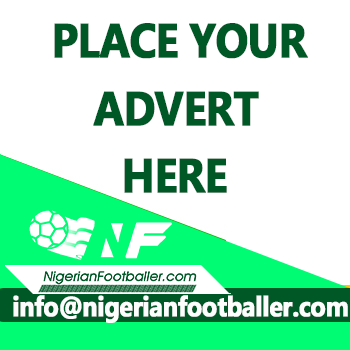 Nigeria face Cameroon at 3:30pm local time (4:30pm Nigerian time) at the Accra sports stadium just as South Africa play hosts to Mali same day at the Cape Coast stadium, 6:30pm (7:30pm Nigerian time). 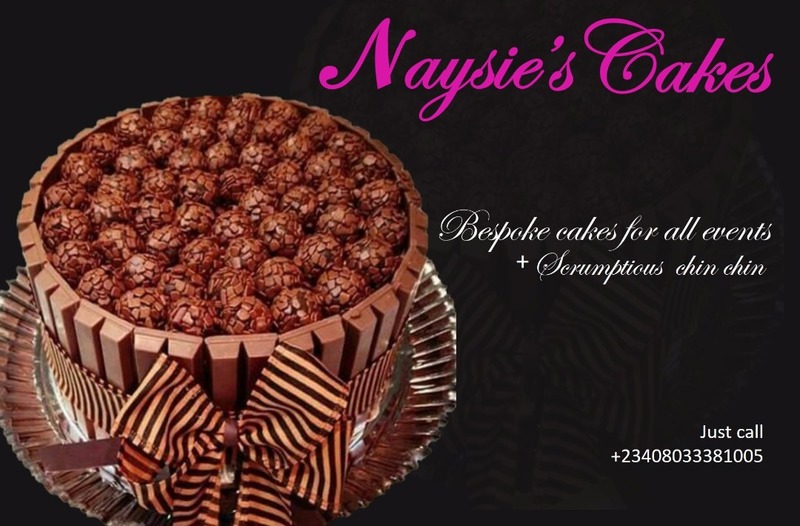 With the group stage of this competition done and dusted, let's get into the numbers. 0 - is the number of red card issued so far. Cameroon 3-0 Algeria is the only game to have produced NO yellow card in the group phase. Algeria in group A and Equatorial Guinea in group B recorded NO wins at the group phase of the competition, bowing out with 0 points. 1- Is the number of goals scored by Equatorial Guinea which is the lowest recorded in the entire group phase this year. In same manner, the first games in group A and B respectively produced only 1 goal in the group phase. 2 - Bassira Toure of Mali is the only player in group A to win the MVP award (Woman of the Match) twice at the end of the group phase (in her team's game against Ghana and Algeria respectively). 2 is also the number of draws recorded at the group phase. Cameroon 1-1 Ghana, Zambia 1-1 South Africa. 3 - Asisat Oshoala of Nigeria scored the first hat trick in this year's tournament. 4 - Thembi Kgatlana of South Africa holds the record for the player with the highest number of goals so far. 5 - is the highest number of goals recorded in a single match in group A at the end of group phase. 6 - is the highest number of bookings (yellow card) produced in a game at the group phase. (Ghana 1-2 Mali). 7 - is the number of players who got on the score sheet in a single game at the group phase of this tournament, which is the highest so far. 8 - The highest number of goals scored in a single game at the group phase. 9 - is the number of penalty kicks awarded so far at the end of the group phase. 10 - Nigeria is the only team to have scored ten goals, the highest at the end of the group phase. 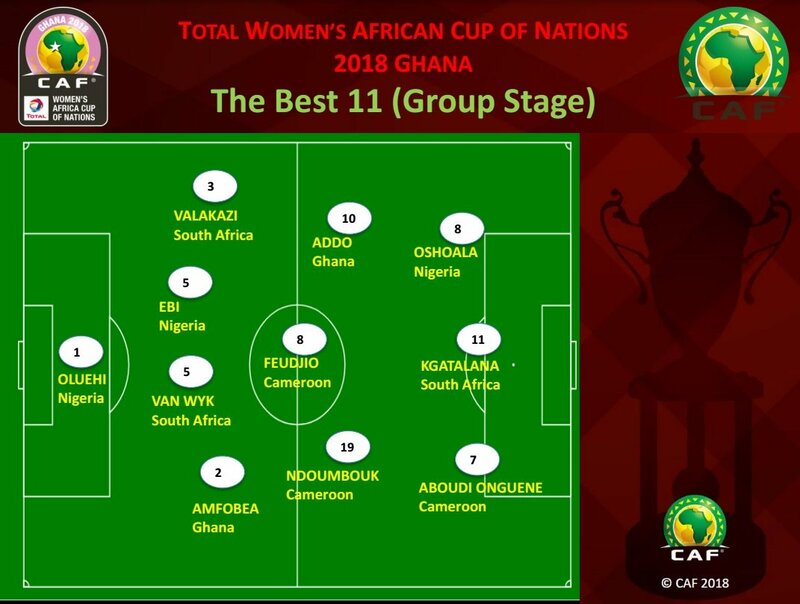 12- There have been 12 Woman of the match awards given so far with South Africa’s Thembi Kgatlana winning it three times against Nigeria, Equatorial Guinea and Zambia. 43- Is the number of goals scored in 12 matches played at the AWCON.